With a revitalized coastal B.C. logging scene, Logging and Sawmilling Journal is pleased to present its list of the top B.C. Coastal and Vancouver Island logging contractors by volume. As is typical within Canadian logging, some see overwhelming challenges and others see opportunity on the B.C. Coast. Like many other areas of the forest industry, there seems to be a trend of younger individuals willing to take a chance on making a good living in logging. With new markets developing for Canadian wood products, particularly in Asia, as well as greater industry involvement in the bio-economy, the overall picture over the medium to long term looks bright for the industry. This should also be reflected in prosperity within the logging community. 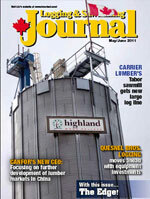 Logging and Sawmilling Journal made its best effort to contact the leading loggers working on the B.C. 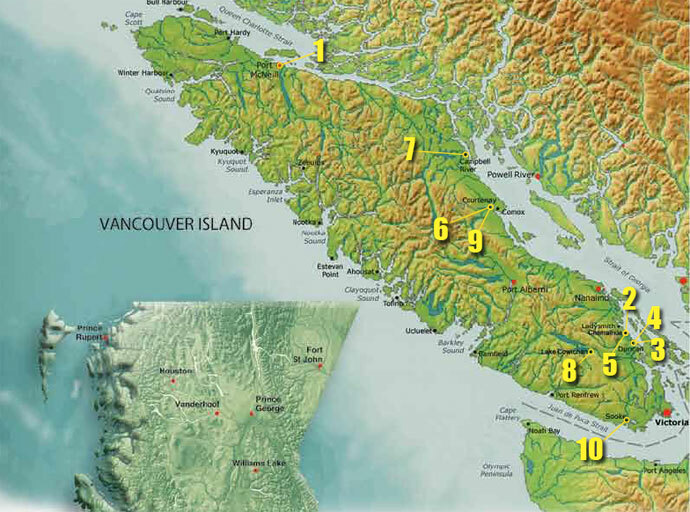 Coast and Vancouver Island based on volume. Participation by logging companies was voluntary. We thank all those who took the time to respond and for those who might have been inadvertently missed, let us know so that you can be included next time. 2. Island Pacific Logging Ltd.
4. Mount Sicker Lumber Company Ltd.
Area of operations: Coastal B.C.